Writing a thesis is the prerequisite to complete the undergraduate, Masters or Ph.D. degree. A well-written thesis should have a lucid structure that explains the writer’s ideas through cogent arguments. Moreover, it should be provocative and easily comprehensible. Drafting an appealing thesis requires an in-depth research and sound knowledge about the chosen topic. In addition, it demands a significant amount of time and energy. Most of the students consider thesis writing as a daunting task. 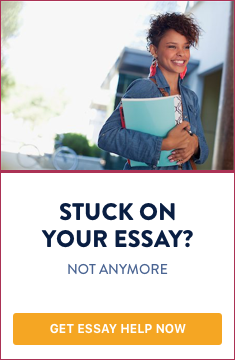 If you are one of these students and looking for an external support, you can contact a reputed custom thesis writing service. What is custom thesis writing service all about? A simple Internet search for ‘thesis writing help’ can get you millions of results. However, choosing a single writing service from the vast pool of companies can be a bothersome task. Additionally, wrong selection of a writing agency may put your work in jeopardy that eventually leads to low grades. Considering peculiarity and sensitivity of thesis writing, identifying a suitable writing company with expertise in the field of your interest is highly recommended. What are the features of a good custom thesis writing services company? A custom dissertation writing service company must have a dedicated communication channel. This should allow you to interact directly with the writer during completion of the project and in the future. This facility should also enable you to convey some important information or feedback from your supervisor to the writer and get clarification on provided content. Being able to communicate with the writer or the writing company helps you track the progress of your task and ensures on-time delivery. A custom writing company must consist of high-level academic writers who have vast experience. They should be able to assign a writer according to your thesis requirements. For instance, if you need to write a Ph.D. thesis, it is vital to employ Masters/PhD level writers to work on your thesis. It would be irrational to consider an undergraduate level writer to do the job. Since thesis writing involves thorough research, the writing service company should have access to a wide range of research content. The company’s access to selected journals and other research sites can be used as criteria to choose an agency. This will ensure you that the information on your thesis is relevant and up-to-date. Generally, a writing service company should not provide you with any plagiarized work. An ability of the company to produce an original thesis should be assessed by enquiring its previous customers and other students who have experience in the selection of writing companies. In addition, there are numerous online forums where you can find the ratings and feedback on most of the custom thesis writing services. A thesis writing service must warrant you that the information will not be reproduced or used in any other way for any purpose without your consent. They should also assure you that your contact details would be secure and used only to get in touch with you during the process of the thesis writing. Trustworthiness is always a key criterion in the selection of a writing company. A custom thesis writing service, which can deliver the work before the deadline is always dependable. This can give you some extra time to check the content, make necessary changes, and decide whether the paper meets your expectations. The writing company should respond promptly to your request for revision and deliver the final draft on time at no extra cost. In summary, you should be very careful and pay attention to the features outlined above while choosing a writing service company to assist you with thesis writing. If you need help with writing a thesis, feel free to contact below.